If you’re using a laptop where you can upgrade the hard drive, you might want to wait until January, where Samsung’s next drive could potentially it to a massive maximum 4TB size. Some computers can have the storage replaced and reconfigured, and some can’t. You generally know which ones you can do that with, and if your computer is so thin that it charges on a USB Type C port and doesn’t make its screws readily accessible for you to get someone to add it, you probably can’t. But then some you can. They might be older, or still new and yet made for productivity or be workstation-class, as some laptops don’t yet rely on the storage that is soldered onto the motherboard and can’t be removed. Some rely on drives that can be, and replaced with something newer and faster. Likewise, the few people still using desktops might be looking for an upgrade of something faster and with more storage, too. While there are certainly lots of well-sized options for desktop users, they’re not always the fastest choice. But later this month, Samsung will have a new option for folks who need the storage and space, as it updates its 2.5 inch SSD line-up. Different from the solid-state storage technology found in Samsung’s stick-based 970 Evo and 970 Pro, Samsung’s newly announced 860 QVO is a little slower because of the connection port. Laptops and desktops that can take these drives use a different port — SATA — and it caters for a maximum speed, which Samsung hits 550 megabytes per second read and 520 megabytes per second write. That’s distinct from the over 2000 Samsung’s 900 series can achieve through its direct PCI-Express connection on the motherboard. The technologies are different, but depending on the type of port your computer has available, you can do different things, and people with the hard drives that look like hard drives — and not like sticks of memory — will see the Samsung 860 QVO SSD as a viable upgrade path, and one with room to move. In fact, with three storage size which range from a big 1TB to a pretty bloody big 4TB, Samsung’s 860 QVO offers a selection of super storage size. 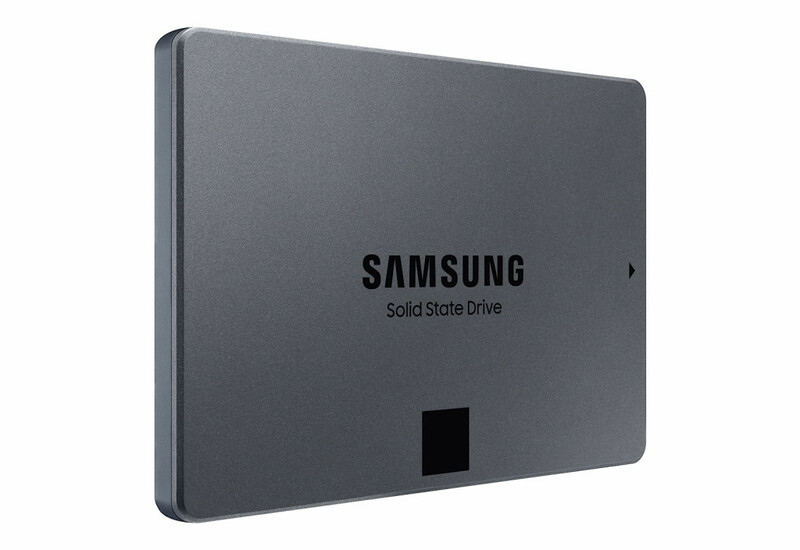 Australian availability for the Samsung 860 QVO solid-state drive will see release in January, though no prices have been announced of yet. Our guess is that they should start at $199 locally, but we’ll let you know when we have a firm idea of what those are when we do.